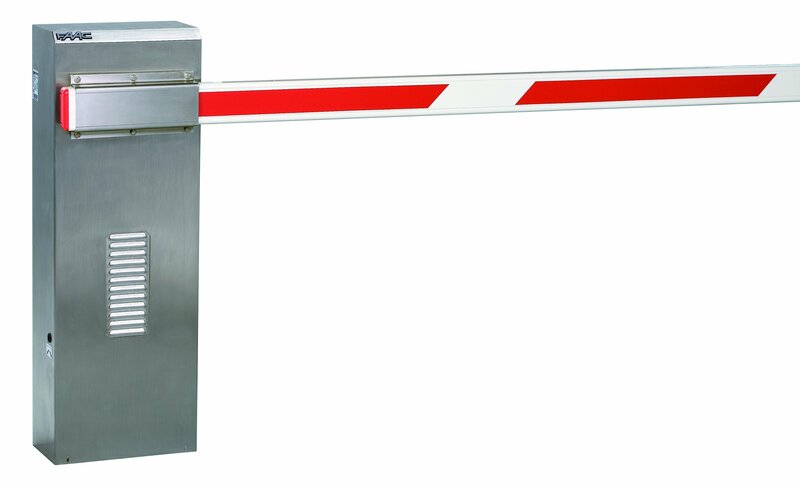 FAAC 642/40 stainless steel commercial hydraulic automatic barriers. Barrier cycle speeds from 1.5 to 2.5 seconds at 100% duty cycle. Ideal for revenue systems and securing sensitive sites in metal fatigue areas. Barrier cycle speeds from 2 to 5 seconds at 100% duty cycle. Ideal for securing commercial sites in metal fatigue areas. Barrier cycle speeds from 2.5 to 7 seconds at 100% duty cycle. Recommended for securing industrial sites and wide road widths in metal fatigue areas.